When you open your web browser such as Chrome, Firefox, Microsoft Internet Explorer and Microsoft Edge, the web page named Search.searchttw.com opens automatically instead of your home page? Or this annoying web-page has been set as new tab page and browser’s search engine ? Then most probably browser hijacker get installed on your PC. The Search.searchttw.com browser hijacker commonly get installed along with certain free programs. Do not be surprised, it happens, especially if you’re an active Net user. But this does not mean that you should reconcile with the unwanted Search.searchttw.com . You need to free your computer of malicious software such as this browser hijacker as soon as possible. Because the unwanted homepage may be a way to infect your PC with more harmful programs like viruses and trojans. 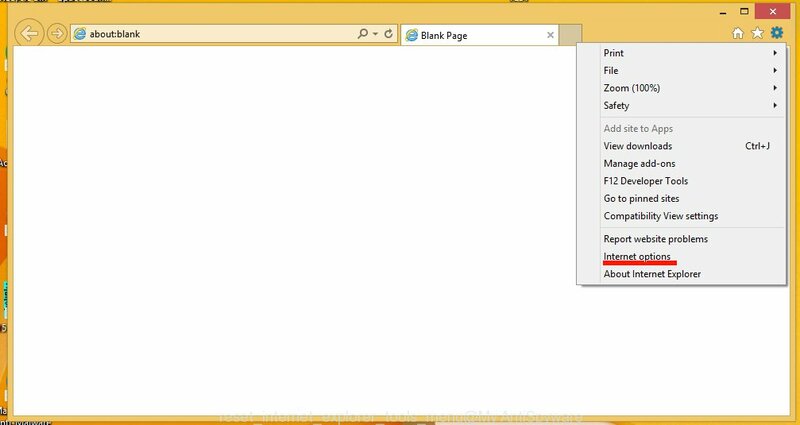 The hijacker, which set the Search.searchttw.com search as your home page can also set this intrusive web-page as your search provider. You will encounter the fact that the search in the web-browser has become uncomfortable to use, because the search results will consist of a lot of ads, links to ad and unwanted web sites and a small amount of regular links, which are obtained from a search in the major search providers. Therefore, look for something using Search.searchttw.com web-page would be a waste of time or worse, it may lead to even more infected PC system. Although, Search.searchttw.com hijacker is not a virus, but it does bad things, and it can impose changes to settings of installed browsers. Moreover, an adware (sometimes named ‘ad-supported’ software) can be additionally installed on to your personal computer with this hijacker, which will open a huge number of ads, or even massive full page advertisements that blocks surfing the Web. Often such these advertisements can recommend to install other unknown and unwanted software or visit malicious web sites. 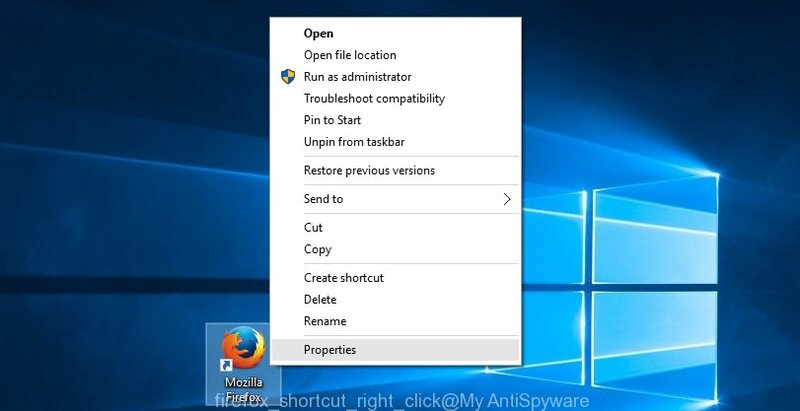 In addition to that, as was mentioned earlier, certain browser hijackers such as Search.searchttw.com to also change all web-browsers shortcuts which located on your Desktop or Start menu. So, every infected shortcut will try to reroute your internet browser to intrusive web sites, some of which might be harmful. It can make the whole computer more vulnerable to hacker attacks. Thus, it is clear that the presence of hijacker on your computer is not desirable, and you need to clean up your computer as quickly as possible. Follow the steps below in order to delete Search.searchttw.com from Google Chrome, Firefox, Microsoft Edge and IE. In the step by step tutorial below, we will try to cover the Chrome, Microsoft Internet Explorer, Firefox and MS Edge and provide general help to remove Search.searchttw.com search. You may find some minor differences in your Microsoft Windows install. No matter, you should be okay if you follow the steps outlined below: uninstall all suspicious and unknown applications, reset web browsers settings, fix browsers shortcuts, use free malicious software removal tools. Certain of the steps will require you to reboot your personal computer or close the site. So, read this guidance carefully, then bookmark or print it for later reference. If you perform exactly the few simple steps below you should be able to remove the Search.searchttw.com search from the FF, Google Chrome, IE and Edge web browsers. It is of primary importance to first identify and delete all PUPs, adware programs and browser hijackers through ‘Add/Remove Programs’ (Windows XP) or ‘Uninstall a program’ (Windows 10, 8, 7) section of your Windows Control Panel. It will display a list of all programs installed on your machine. Scroll through the all list, and uninstall any suspicious and unknown programs. First, launch the Internet Explorer. Next, press the button in the form of gear ( ). It will display the Tools drop-down menu, click the “Internet Options” as on the image below. If the FF browser application is hijacked, then resetting its settings can help. The Reset feature is available on all modern version of FF. 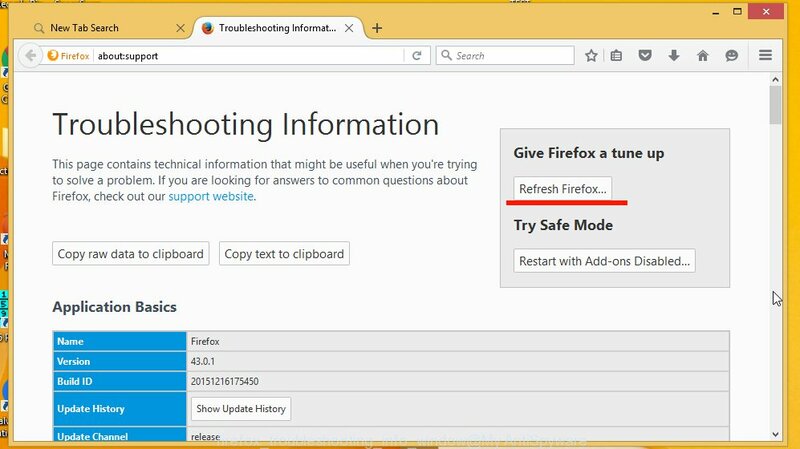 A reset can fix many issues by restoring Firefox settings such as new tab page, startpage and search engine by default to its default state. It’ll save your personal information such as saved passwords, bookmarks, and open tabs. It will open the confirmation dialog box. Further, press the “Refresh Firefox” button. 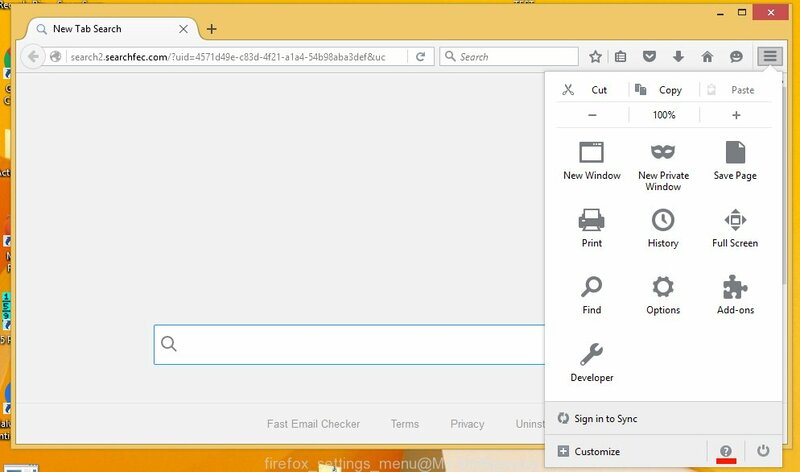 The Firefox will start a task to fix your problems that caused by the hijacker which alters web-browser settings to replace your start page, newtab page and search engine by default with Search.searchttw.com web site. Once, it is complete, click the “Finish” button. 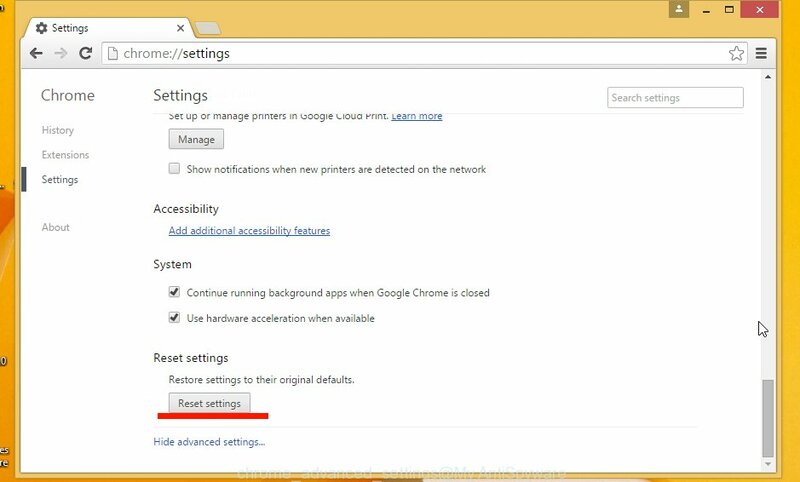 Reset Google Chrome settings is a easy way to remove the browser hijacker, malicious and ‘ad-supported’ extensions, as well as to recover the internet browser’s newtab page, startpage and search provider by default that have been changed by Search.searchttw.com browser hijacker. Unfortunately, the hijacker can also hijack Windows shortcuts (mostly, your internet browsers shortcuts), so that the Search.searchttw.com homepage will be opened when you run the Chrome, Firefox, MS Edge and Internet Explorer or another web browser. Right click on the shortcut of infected internet browser as displayed on the image below. Select the “Properties” option and it’ll open a shortcut’s properties. Next, press the “Shortcut” tab and then delete the “http://site.address” string from Target field as displayed on the screen below. Then press OK to save changes. Repeat the step for all web-browsers that are rerouted to the Search.searchttw.com intrusive web page. The hijacker can hide its components which are difficult for you to find out and get rid of completely. 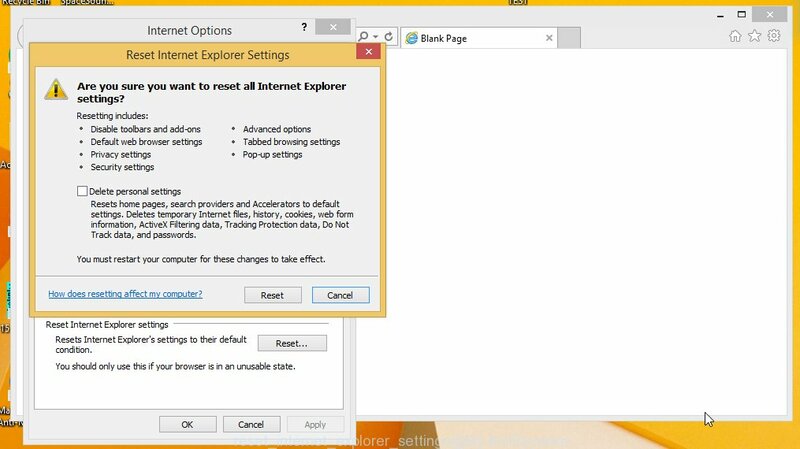 This can lead to the fact that after some time, the hijacker infection once again infect your personal computer and change settings of all your typical browsers to Search.searchttw.com. Moreover, I want to note that it is not always safe to delete browser hijacker manually, if you don’t have much experience in setting up and configuring the Windows operating system. The best way to scan for and remove browser hijackers is to run free malware removal programs. We advise using the Zemana Free which are completely clean your PC system of the browser hijacker infection. The tool is an advanced malicious software removal program designed by (c) Zemana lab. It is able to help you delete PUPs, hijackers, ‘ad supported’ software, malware, toolbars, ransomware and other security threats from your personal computer for free. 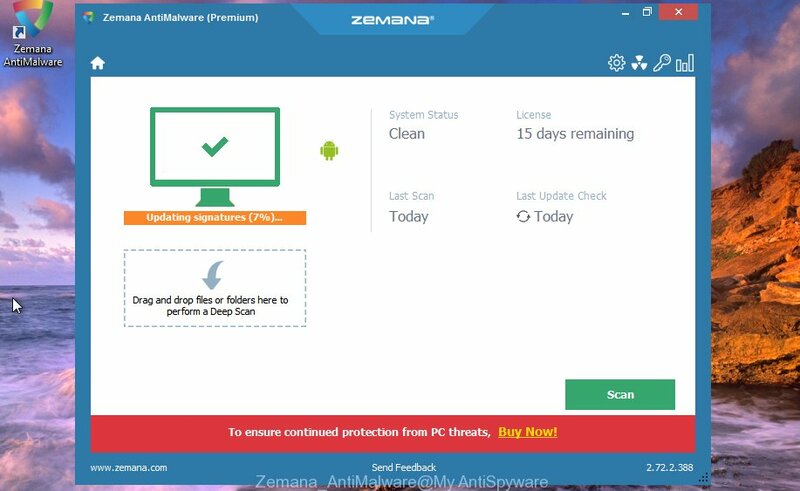 Download Zemana Anti-Malware (ZAM) from the following link. Save it on your Desktop. Once the downloading process is done, close all windows on your PC system. Further, start the install file called Zemana.AntiMalware.Setup. If the “User Account Control” dialog box pops up as displayed in the figure below, press the “Yes” button. 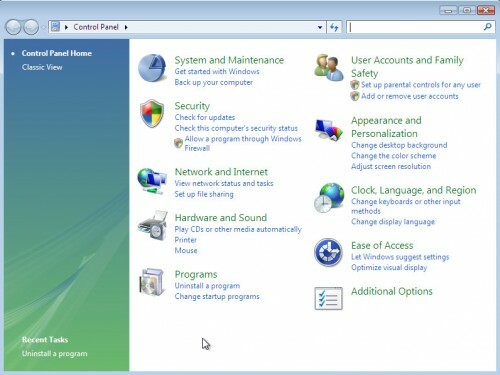 It will show the “Setup wizard” that will assist you install Zemana on the PC. Follow the prompts and do not make any changes to default settings. Once setup is finished successfully, Zemana will automatically run and you may see its main window as shown on the screen below. Next, click the “Scan” button . 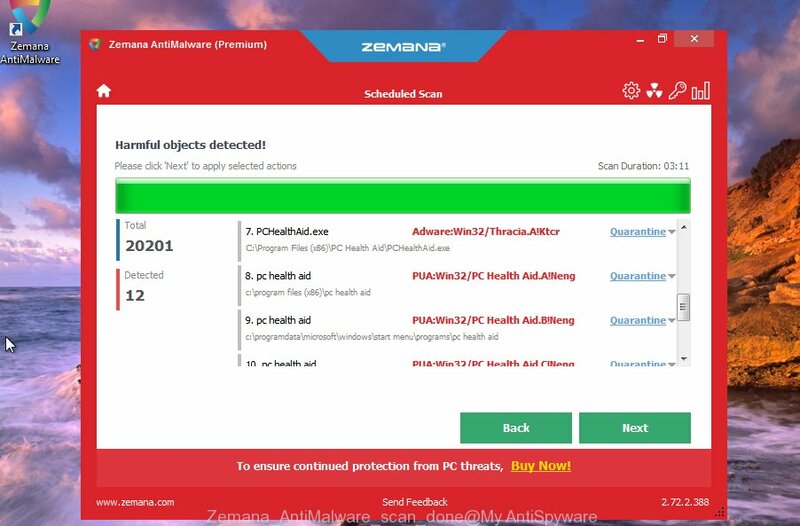 Zemana utility will start scanning the whole PC system to find out hijacker infection that cause a redirect to Search.searchttw.com web-page. A system scan can take anywhere from 5 to 30 minutes, depending on your machine. When a threat is detected, the count of the security threats will change accordingly. 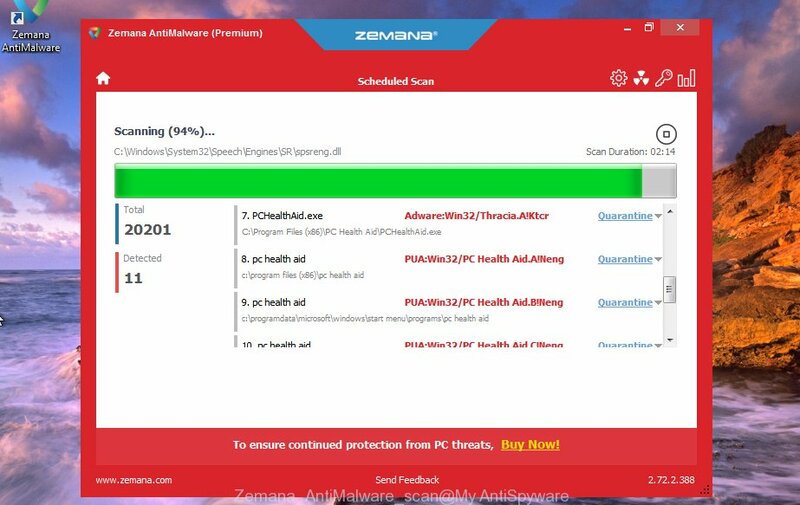 Once the scan is finished, Zemana Anti-Malware will display a scan report. In order to get rid of all threats, simply click “Next” button. 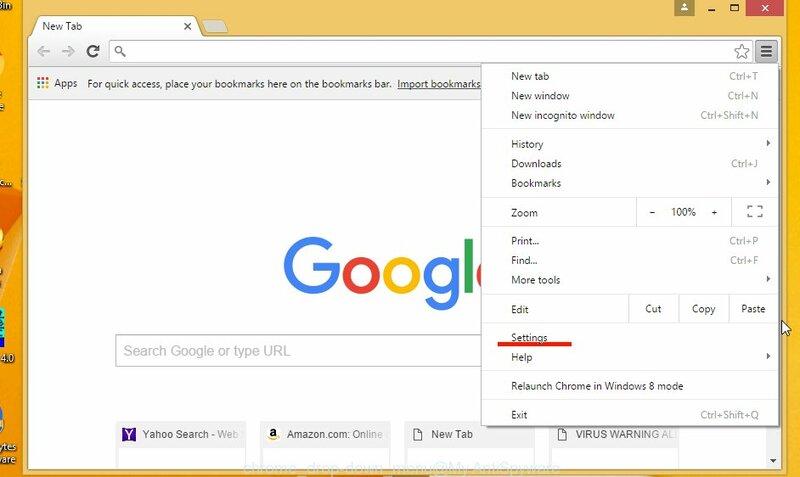 The Zemana Anti-Malware will start to remove hijacker that alters web browser settings to replace your home page, newtab page and default search engine with Search.searchttw.com web-page. Once the clean-up is complete, you may be prompted to restart your computer. You can get rid of Search.searchttw.com search automatically with a help of Malwarebytes Free. We recommend this free malware removal utility because it may easily remove hijacker infections, adware, potentially unwanted software and toolbars with all their components such as files, folders and registry entries. Download MalwareBytes Anti Malware by clicking on the link below. Save it on your Windows desktop. When the downloading process is finished, close all windows on your personal computer. Further, run the file named mb3-setup. If the “User Account Control” prompt pops up as shown below, press the “Yes” button. It will show the “Setup wizard” which will help you install MalwareBytes on the computer. Follow the prompts and do not make any changes to default settings. Once setup is finished successfully, click Finish button. 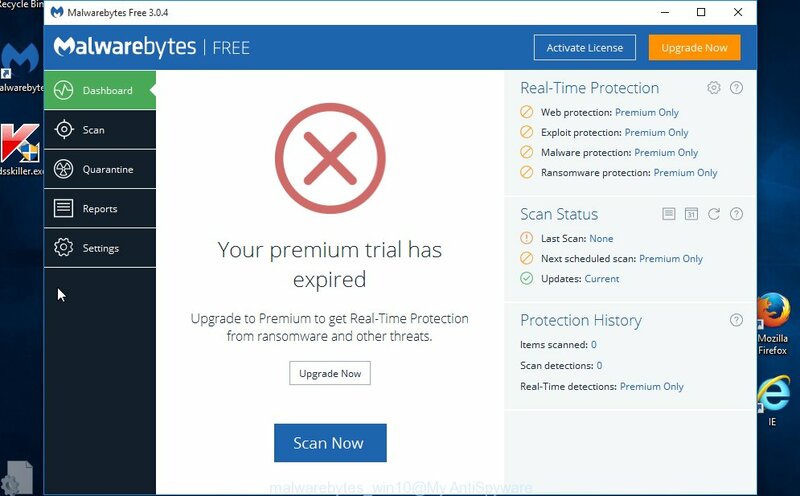 Then MalwareBytes will automatically launch and you can see its main window like below. 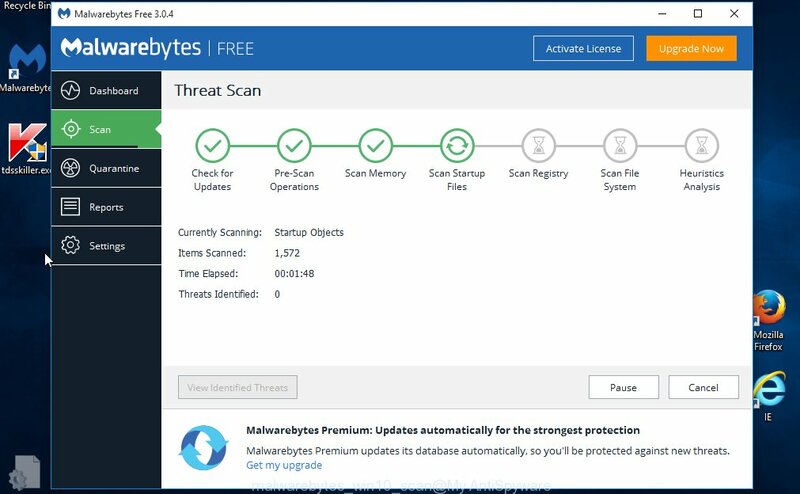 Next, press the “Scan Now” button .MalwareBytes Free application will scan through the whole PC for the Search.searchttw.com browser hijacker and other browser’s malicious extensions. This task can take some time, so please be patient. 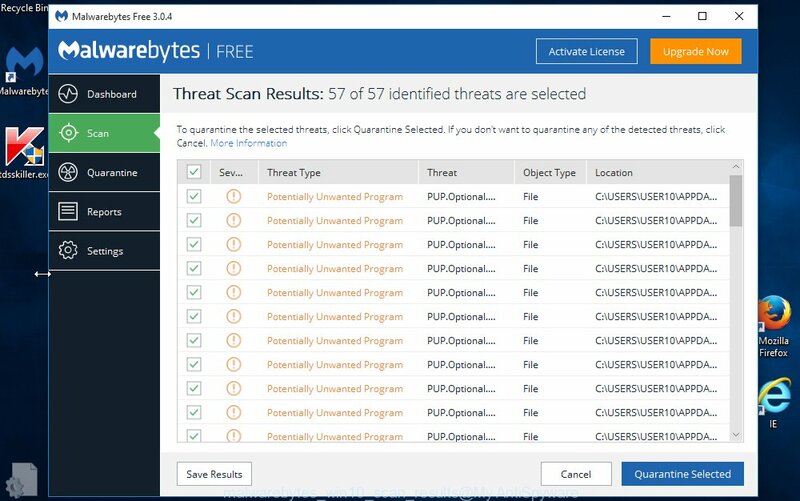 While the MalwareBytes Free utility is checking, you can see how many objects it has identified as being infected by malware. When the scan get finished, you may check all threats detected on your PC. Make sure all items have ‘checkmark’ and press “Quarantine Selected” button. The MalwareBytes Free will begin to remove browser hijacker infection that redirects your web-browser to unwanted Search.searchttw.com web site. After the procedure is done, you can be prompted to reboot your machine. We recommend you look at the following video, which completely explains the process of using the MalwareBytes to remove hijacker infections, ad supported software and other malicious software. AdwCleaner is a free removal tool that may be downloaded and use to remove browser hijacker infections, ad supported software, malware, PUPs, toolbars and other threats from your PC. You can use this utility to find threats even if you have an antivirus or any other security program. After the downloading process is done, double click the AdwCleaner icon. 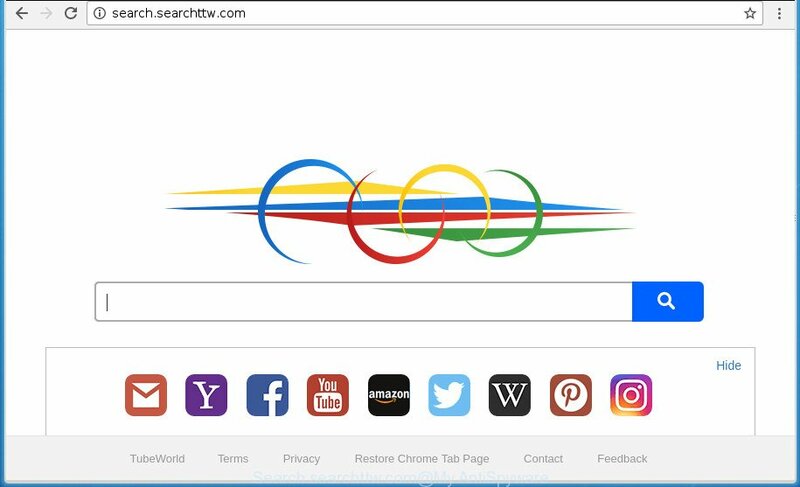 Once this tool is launched, press “Scan” button to perform a system scan for the hijacker infection which redirects your web browser to undesired Search.searchttw.com page. This procedure may take some time, so please be patient. When a threat is found, the number of the security threats will change accordingly. Wait until the the scanning is complete. As the scanning ends, AdwCleaner will display a list of detected items. You may move threats to Quarantine (all selected by default) by simply click “Clean” button. It will show a prompt, click “OK”. By installing an ad blocking application like AdGuard, you’re able to stop Search.searchttw.com, autoplaying video ads and delete a large number of distracting and undesired ads on web-sites. Download AdGuard application from the following link. Save it on your MS Windows desktop. After downloading is done, launch the downloaded file. You will see the “Setup Wizard” program window. Follow the prompts. Once the installation is finished, click “Skip” to close the installation application and use the default settings, or click “Get Started” to see an quick tutorial which will help you get to know AdGuard better. In most cases, the default settings are enough and you don’t need to change anything. 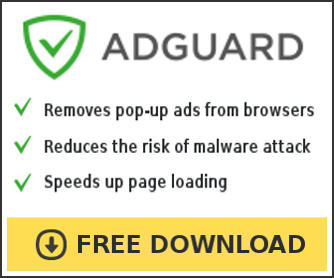 Each time, when you start your computer, AdGuard will launch automatically and stop pop-up advertisements, web sites such Search.searchttw.com, as well as other harmful or misleading web pages. For an overview of all the features of the program, or to change its settings you can simply double-click on the icon named AdGuard, that may be found on your desktop. After completing the tutorial above, your PC should be clean from this hijacker and other malicious software. The Chrome, Internet Explorer, Firefox and MS Edge will no longer open undesired Search.searchttw.com startpage on startup. Unfortunately, if the step by step tutorial does not help you, then you have caught a new browser hijacker infection, and then the best way – ask for help. Please start a new thread by using the “New Topic” button in the Spyware Removal forum. When posting your HJT log, try to give us some details about your problems, so we can try to help you more accurately. Wait for one of our trained “Security Team” or Site Administrator to provide you with knowledgeable assistance tailored to your problem with the annoying Search.searchttw.com start page.